I remember reading Thoreau when I was in high school and I wasn’t really all that interested in it. I didn’t really “get” it. I know now that my teacher left a lot of the understanding up to us and didn’t really make it relevant, so it was boring and dry and I never saw the importance of this writer’s philosophy. For the last few years as a teacher my job has required me to work on basic reading skills and I haven’t gotten a chance to get into some of the more philosophical pieces of writing of American literature, until now. This year I have some students who are almost on grade level so I’ve gotten to teach some writing that many high school students experience. I created a unit called “Shaping your beliefs and ideals.” I’ve chosen several abridged philosophical pieces from American literature such as “Self-reliance” by Emerson and “Civil Disobedience” by Thoreau. My expectation is that students will not only gain understanding about the writers and the time in which they lived, but that they’ll also see some parallels to the present world and use that information to help support their own beliefs and ideals. I knew it would be a tough undertaking because of the nature of my students, so I would have to find a really good way to hook them in and make them want to read. I began with “Civil Disobedience” by Thoreau. It’s got some tough vocabulary and is dense with ideas, even in its abridged format. Before we even started reading I began going over the title. I gathered students’ thoughts about the word “civil” and then I did the same thing for the word “disobedience.” Then I gave them a little background on Thoreau, highlighting those things that I knew they would relate to most: that he spent time in jail, that he refused to pay his taxes; you know, the stuff about how he defied authority. They were interested in this guy, and I knew it because they were participating in the class like high school students should. As we began reading it together one student said, “Wait a minute, this guy is telling us to f#ck the police? 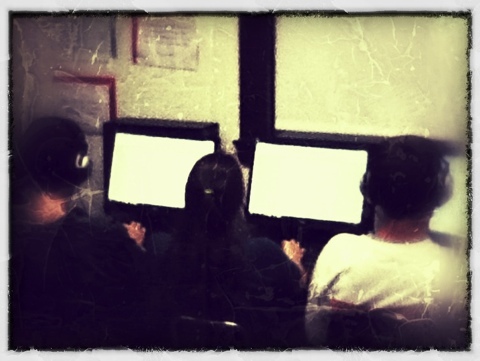 I wish I had read this when I was younger.” Another student said, “They shouldn’t let high school students read this stuff.” We’re about half-way through the abridged form of this essay and students continue to have relevant debates with each other during class. 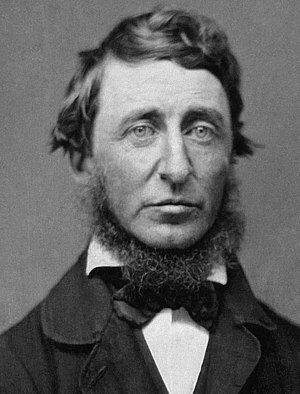 We’re also connecting the idea of civil disobedience to history and historical figures such as Rosa Parks and Martin Luther King Jr. Further, I’ve gotten the students interested in American politics by using Thoreau’s feelings about the government of his time. I’ve told students that their blog post about this essay is to choose whether to research how a historical figure used civil disobedience or to research a current law and discuss the pros and cons of advocating for civil disobedience for it. I also expect them to summarize Thoreau’s beliefs and be able to discuss their own thoughts about the government, so we’re also discussing American politics as it ties in with Thoreau’s essay. I have an iPad that I bring to class everyday so we’re able to get news and information right during class. I’m surprised at how much they know about current events already, but it’s nice to fill in their misinformation or be able to give background to events. I also am glad that the paraeducator in my room is a certified history teacher because he is able to flesh out a lot of the history and government questions that I can only cursorily answer. So far these students are finding a lot more meaning in Thoreau than I ever did, and these students are quite the opposite of your typical honor roll student in high school, which is what I was.